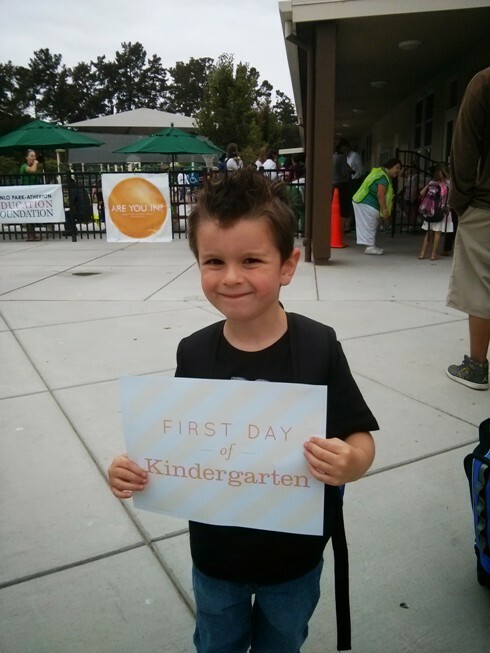 I can’t believe my little boy is in Kindergarten! He’s been waiting for this day for a long time, and so have I. As always, there were no tears, just excitement at drop off. He could hardly wait to get inside. I was excited for him to get in there too. He’s doing the Spanish Immersion program, so there will be lots of things for him to learn. He’s excited to make new friends and learn how to be a part of a bigger classroom. This is his first time being at school all day, so I was a little worried, but he doesn’t seem to have a problem with it. He also got his first lunch at school too. Big day. Happy First Day little buddy!